Viet Nam always considers the Japanese business community a leading strategic partner in the process of restructuring its economy, as well as in improving the growth, quality and competitiveness of the country, said State President Tran Dai Quang at the Viet Nam Investment Promotion Conference in Tokyo on May 31. 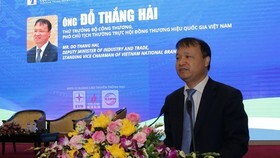 Speaking at the event, organised by Japan External Trade Organisation (JETRO), which saw participation from representatives of some 600 Vietnamese and Japanese businesses, Quang said that Việt Nam’s consistent policy is to co-operate with Japan based on 45 years of shared interests in geography, politics and strategic economics. Quang stressed that towards achieving the goal of modernisation, Việt Nam was in great need of a modern and synchronous infrastructure system, as well as an advanced education system, which are present in Japan. 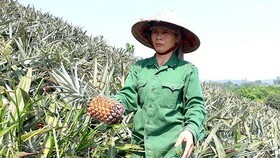 Japanese businesses could expand co-operation and investment in Việt Nam, especially in the fields of manufacturing, modern agriculture, information technology, smart cities, services, infrastructure, finance, banking, start-ups based on innovation and creativity, as well as take part in the equitisation of State-owned enterprises. 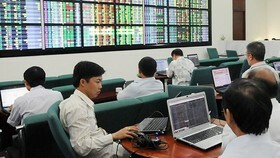 Quang said Việt Nam had become an attractive economic partner for Japanese enterprises. The successful co-operation among enterprises played an important role in promoting the development of relations between the two countries. Japan is the largest official development assistance (ODA) partner of Việt Nam, with over US$30 billion committed at present. This contributes significantly to developing infrastructure, improving human resource quality, strengthening the governance capacity, and accelerating hunger elimination and poverty reduction. 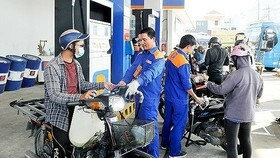 Projects funded by ODA from Japan are being put into effective operation throughout Việt Nam. The T2 Terminal of Nội Bài International Airport, Lạch Huyện International Port and the HCM City-Trung Lương Expressway are some notable examples. On investment, Japan is always the leading partner of Việt Nam with over 3,700 projects with total registered capital of over $50 billion. In 2017, two-way trade turnover reached more than $33 billion. 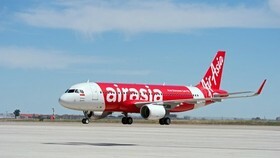 Last year, over 30,000 Vietnamese people visited Japan, and nearly 80,000 Japanese people visited Việt Nam. 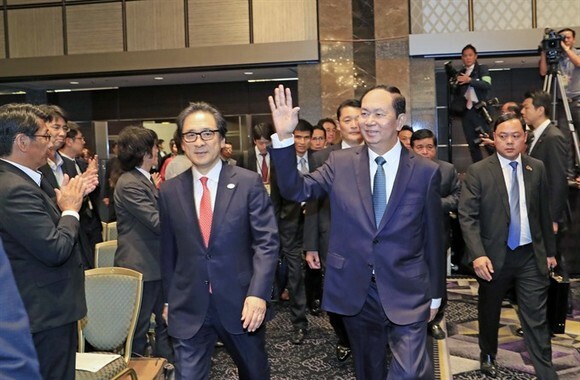 President Quang also pointed out that the Việt Nam Investment Promotion Conference was a valuable opportunity for the business communities of the two countries to look back on the results of investment co-operation, as well as to share vision of development in the future. The event would play an increasingly important role in deepening the strategic partnership for peace and prosperity in Asia over the coming years. He said the Japanese business community, including leading corporations, would not only play a pioneering role in investment co-operation, but would also promote more efficient cooperation between the two countries. 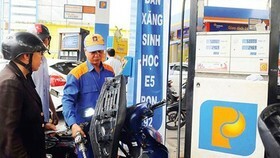 "We appreciate the discipline, sense of responsibility, modern technology, advanced management and corporate culture of Japanese enterprises and entrepreneurs during the process of investment and business development in Việt Nam," said Quang. Quang pointed out that Việt Nam had become a dynamic economy with a GDP of around $230 billion and a commercial scale of over $420 billion. With a population of close to 100 million people, Việt Nam was a rapidly growing purchasing power market with a fast developing middle class. 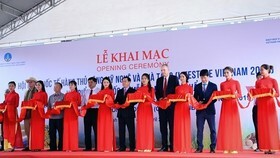 Việt Nam is an open economy and is actively promoting international integration with the free trade agreements that have been signed in recent years. 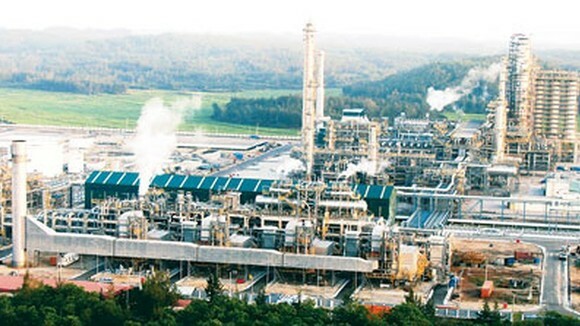 To date, Việt Nam has attracted nearly $322 billion from 126 countries and territories in key economic sectors, such as manufacturing, infrastructure development, construction, real estate, energy, tourism, and distribution, said Quang. Many leading international corporations are investing and doing business effectively and have become an important component of economic growth in the country, he added. Speaking at the event, Japan’s State Minister of Economy, Trade and Industry Yoji Muto said that infrastructure was an important factor for the development of a country, and Japan was paying attention to this field in Việt Nam. Chairman and CEO of the Japan External Trade Organisation (JETRO) Hiroyuki Ishige recalled cooperation outcomes between Japan and Việt Nam, especially their efforts to the signing of the Comprehensive and Progressive Agreement for Trans Pacific Partnership (CPTPP), emphasising that the deal will be a driving force for economic, trade and investment cooperation between the two countries in the future. Also at the conference, President Quang, Japanese State Minister of Economy, Trade and Industry Yoji Muto, and JETRO Chairman Hiroyuki Ishige witnessed the ceremony of handing over investment certificates and memorandums of understanding on co-operation projects between enterprises and localities of the two countries. The President and delegates also witnessed the launch of the Hà Nội-Osaka direct flight of budget carrier Vietjet Air, which will operate daily return flights from November 8 this year. With this milestone, Vietjet Air increased its total international routes to 45. In a meeting with JETRO Chairman Hiroyuki Ishige, Quang expressed his thanks and appreciation for the cooperation and support of JETRO to Việt Nam in general and the Ministry of Planning and Investment (MPI) in particular. 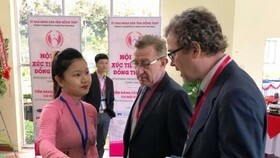 JETRO has helped the MPI in recent years to connect enterprises and organise the investment promotion conferences. On top of this, they have jointly held seminars to solve difficulties and obstacles faced by enterprises of the two countries.